On Thursday I travelled to Birmingham for an interview and although I’m used to getting trains too and from Birmingham, this one was especially long. The original 45 minute train was 1 hour and 15 minutes from Nottingham. I brought a book with me to read on the train and kept myself entertained with a good playlist and coffee. 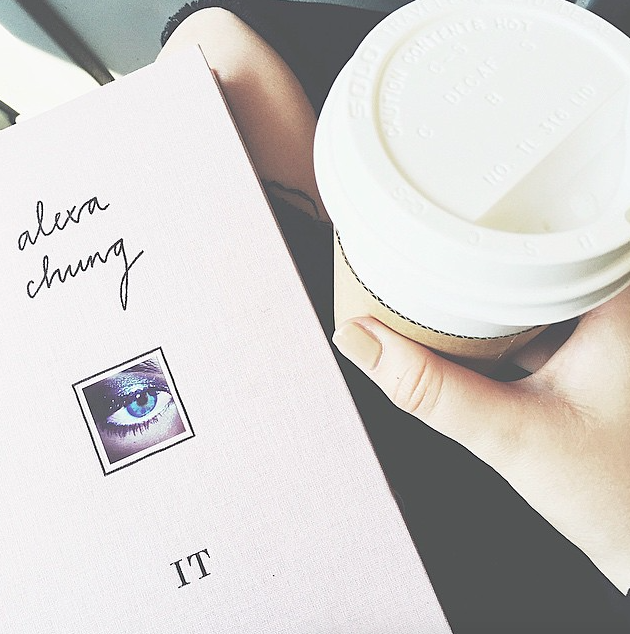 Alexa Chung IT, is a book i’ve had for a while now and I love it because you can just pick it up whenever and start reading from any page. I had already started reading this book when I first got it but hadn’t picked it up for a while. It’s a beautiful, well written, inspiration book and I adore it. You can view my playlist on spotify. It has a mixture of chart music, the pitch perfect 2 soundtrack (because I’m obsessed) and good ol’ Mumford and Sons. How do you keep yourself distracted on long journeys?